Kinda stuck, cant figure out whats wrong. Brand new build had bios 1.3 upgraded to 1.5 numbers fairly similar. Write cache on. Finally found a updated copy of raidxpert thinking that maybe was my problem. Last edited by add2; 12-06-2011 at 03:28 AM. What are the motherboard sata port numbers used by your raid 0 setup? 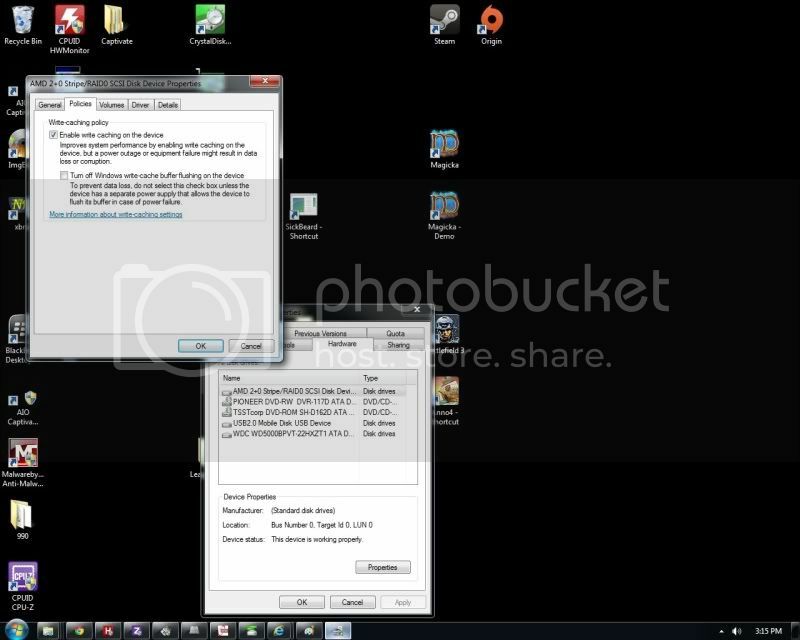 You can always take a digital camera picture of your screen and attach the cropped photo to a new post. It's best to keep the attached photo's width to 800 pixels or less. Images up to about 350KB will automatically be compressed to about 150KB. Last edited by profJim; 12-06-2011 at 04:29 AM. as per crucials forums Im supposed to enable raid 5. Just dont know how to without losing all the information. Last edited by add2; 12-06-2011 at 05:03 AM. Did you follow the raid installations found in page 46 of the motherboard user manual? Did you follow the instructions in the separate Raid Installation Guide on the Support CD? 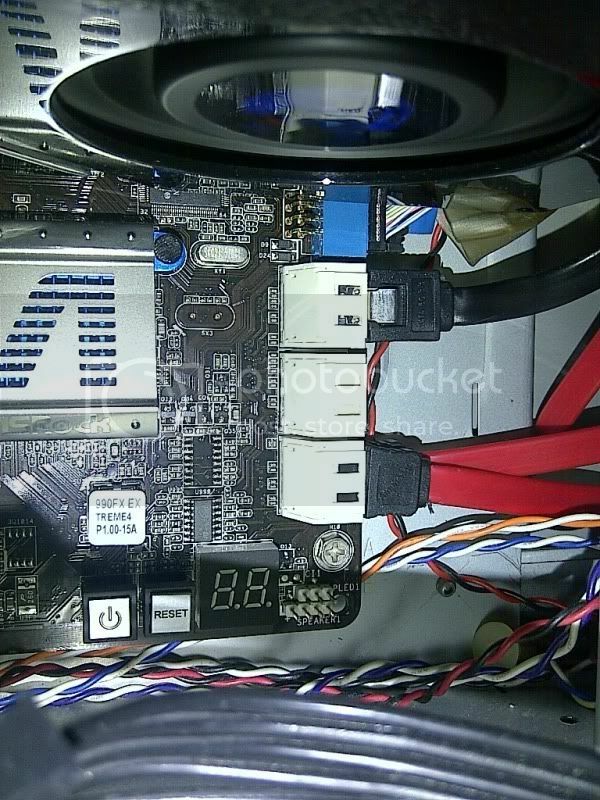 ASRock > Products > 990FX Extreme4 > Manual might have a more recent raid guide. It looks like you are using the AMD sata3 ports. 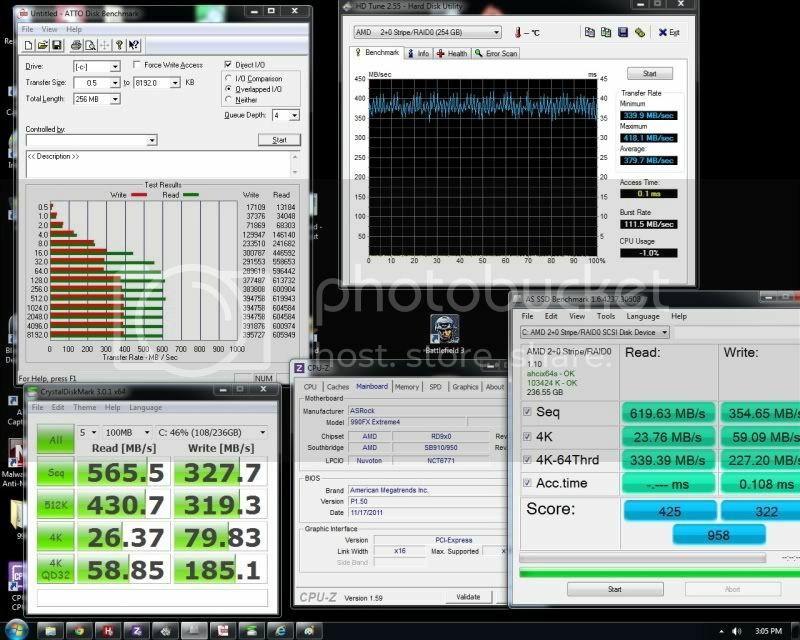 If you were using the Marvell sata3 ports, they probably have lower sata3 performance. Have you checked with the Crucial SSD support forums for help?